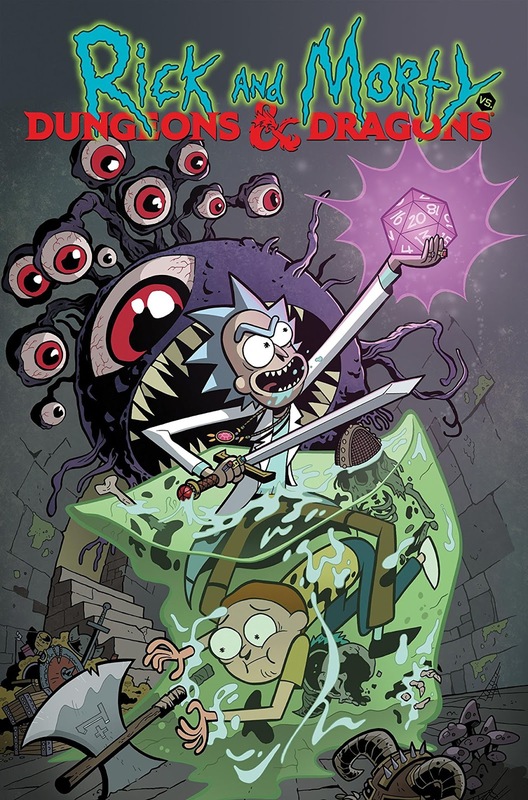 A new number one this week, as the pre-order for the Kindle edition of the Rick and Morty vs. Dungeons & Dragons collection is massively discounted. The pre-order for the print collection also shows up on the chart. There are a good number of other pre-orders showing up in the top 50 this week: The next two volumes of My Hero Academia; the next Adventure Zone graphic novel (which has been on the chart for several weeks now); the Mister Miracle collection (ditto); the next Big Nate strip collection; the final Darth Vader - Dark Lord of the Sith collection; and The Problem of Susan and Other Stories, the latest edition of P. Craig Russell's adaptation of Neil Gaiman stories. Something is going on with Liz Climo this week: her desk calendar suddenly returns in the #2 slot, and the years-old collection of her comics, Lobster Is the Best Medicine, also makes its first appearance. Is My Hero Academia the new Walking Dead? Not quite, but it is taking ten of the slots in this week's top 50.